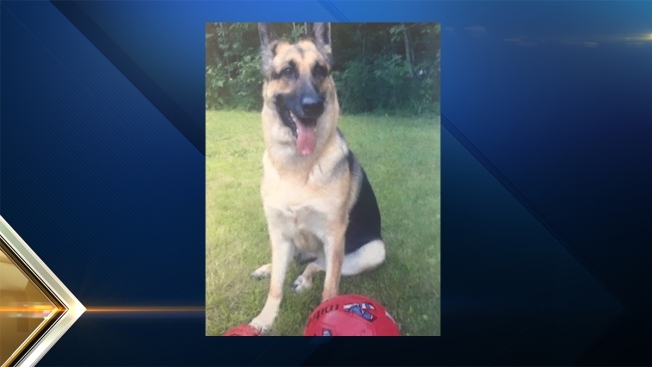 A 7-year-old German Shepard Disabled Veteran's service dog was struck and killed in Berwick, Maine Saturday. Sophia, the dog, was hit on Cemetery Road as the owner was getting his mail. The suspect's vehicle was described as a 1990's vintage beige or tan Buick or Oldsmobile sedan. The vehicle originally slowed down after hitting the dog but then fled at a high speed towards Pine Hill Road. Anyone who may have information is asked to contact to Berwick Police at 207-698-1136.